Recently I attended a farm forestry course with David Holmgren and Darren J. Doherty, a subject I’d like to address today. To even start a farm forestry operation, or even a permaculture orchard, you’ll need to source a huge number of trees from somewhere. I crunched a few numbers and browsed the relevant websites: it seems that small bare-root trees will cost, on average, $20 or more, an amount that will soon add up. 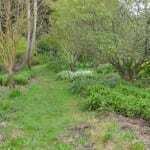 I realised that, even excluding overseeding and site preparation, I would need to pay around $20k/acre for my permaculture orchard. It wasn’t until recent visit to my mentor, an experienced plant propagator, that I came upon a way to grow $1000+ worth of trees for less than $100. His perspective was: why would you buy trees and spend money when you can propagate them yourself? Growing your own rootstock and grafting is a far better idea than buying, even if you need 1,000 trees. I was eager to pick his brain about this, and find out how other permies such as Mark Shepard, Sepp Holzer and Stephan Sobosnwiak obtain huge numbers of trees they need for their projects. From what I could gather, it seems that the best option is to grow the trees yourself and start a small home nursery for propagation. 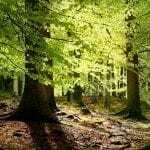 Want to grow 1000’s of trees for a fraction of time and money other people spend? Download my free step-by-step guide and find out how! 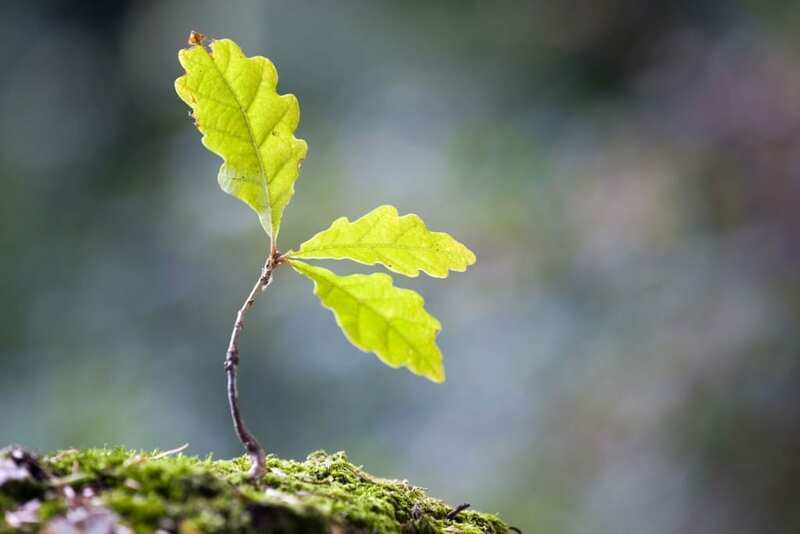 You need to understand that plant propagation is the first step towards understanding the economics of growing trees on such a massive scale. Only by doing this yourself does the whole operation becomes feasible. It is an essential skill that every permie should have and it’s an easy one to acquire. Knowing how to propagate plants is like being able to do magic! Fruit tree propagation is usually carried out vegetatively (non-sexually) by grafting or budding a desired variety onto a suitable rootstock. Trees can also be propagated from seed (sexually) but these will not grow “true” to the variety of either parent from which they originate. Trees raised from seed will take longer to start bearing fruit, and the fruit they bear will usually not be of the desired quality. This is the reason why we clone the trees. Most fruit trees are propagated to a ‘nurse’ root, the rootstock, which may be of the same variety as the graft or bud, or of a different variety or species (e.g pear on pear or quince). Some fruit trees and berries are propagated by cuttings, layers or other vegetative methods. There’s some great reading available for anyone who wants to know more, The Grafter’s Handbook is a great source, the American Horticultural Society Plant Propagation guide is also well worth a read. There are also tons of relevant YouTube videos on the subject too. I also recommend checking out Mike McGroarty’s website; he really, really knows how to propagate from cuttings without taxing your wallet. Here’s a short video with Mike showing some useful tips. You could also ask your local extension office if they have a class nearby and take a grafting workshop somewhere in your community. Or perhaps seasoned enthusiasts with the skill, or an orchardist who can explain and offer some invaluable advice. Before you plant anything on a bigger scale you should at least have an understanding of your local biome. Bear in mind Mark Shepard’s advice on what to grow: “analyse what grows in your area – and put that together”. This makes sense because nature is, of course, the best judge of what can, and can’t grow, in any environment. Just take a look around and observe native and non-native varieties of trees which have naturalised in your environment. Explore your area and identify the hardiest species, maybe you can get the cuttings or seed from them. Consult with other growers in your area and see what works locally. In his documentary, Permaculture Orchard, Stefan Sobkowiak recommends “use what is used around you and adapted to your local conditions. If people use dwarf rootstock, use that, if people use standard rootstock, use that. Don’t reinvent the wheel”. Once you have done the groundwork, think about what you want from your trees – are you looking for juice, jam, cider or fresh fruit? Based on this information you’ll know which cultivars you wish to grow, and can make a decision regarding whether to use dwarf rootstock or standard. Today, dwarf rootstocks are used for most fruit trees, because they keep the tree small and make it fruit earlier. Seedling rootstock can also be considered, but these trees are big, slow to come into productivity, and possibly not resistant against local diseases. Think carefully about your goals. You are investing years in this project, so why not get things running smoothly from the outset? The great thing about rootstock is that you can choose rootstocks to suit your soil type. You can also experiment with sizes for your mature trees to find a combo that works well for you. If you want to grow a tree with luscious, aromatic fruit which also grows well in your local conditions, you’ll need two things: scion wood of the desired fruit tree and the rootstock on which it will grow. Trees can be easily grown through rooting the cuttings of the desired tree or from seed. However, rooted cuttings don’t produce a strong root system and growing from seed won’t get you the desired characteristics for the fruit. For this you can buy already grafted cultivars as bare roots or in pots. These trees are more than a year old and ready to be planted. Because they are grafted they will cost more, but the purchase of just one tree will allow you to propagate 1000s. Once planted you’ll get an endless source of cuttings of the desired variety. You can buy grafted trees at your local nursery, though if you really want a specific tree, look online for nurseries in other countries (such as this one in the UK), contact them and request shipping of the bare root tree. They are easy to ship and can be posted directly to you. It would be also good idea to order multiple varieties of trees to test how they grow and select the most suitable one for your area. Mark Shepard recommends: “buy stocks from various nurseries and see what performs the best and beats native weeds. Then grow that trees as nursery would”. If you don’t wish to buy grafted trees from nurseries you can just buy scion wood or obtain it from a variety of sources. Bear in mind what Sepp Holzer does – if he finds a nice tree somewhere, then he takes a scion from it to enrich his orchard. It’s that easy. Scion can come from a neighbour’s trees, other people’s trimmings or through exchanges with others around you. Join scion wood exchange groups in order to meet local people who have knowledge and the varieties that could work well in your area. Once you have obtained the scion wood you’ll need to have the rootstock adapted to your area to ensure successful disease free growth. This can be critical for some species. You can grow rootstock from seeds. Sepp Holzer and Mark Shepard’s method is to collect seeds and grow seedlings which they later graft with the desired cultivar/scionwood. If you do it this way you won’t get any dwarfing, but you’ll get sturdy full-sized trees. Without grafting you may even get an interesting new fruit variety. Seeds are easy to find and you can collect them locally, exchange with other people or purchase online. There are books available with seed indexes and lists of the places where you can get them. On top of this, seeds are really easy to ship to your address. You just have to germinate them. Another option is to buy the rootstock and clone it – take a cutting and root it. 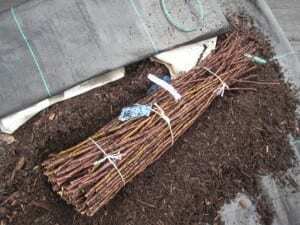 If you can’t be bothered with rooting the cuttings, then purchase a bundle of bare rootstock. It can be cheap, and, depending, on how much you buy, can cost as little as $1 a stem. Depending on your goals, you may need between 40 or 4000 trees per acre. You can order your rootstock probably from the same place where you would buy your grafted trees. Here’s again an example of a the website selling rootstock you could order from. Once you have sourced the tree material, you are ready to set up your small-scale permaculture nursery. You are now ready to produce some trees with the propagation skills you have acquired. There are various types of nursery you can set up at home, ranging from a small bucket, to nursery boxes, to a standard setup in containers and nursery beds. Or you could plant directly on the site where you want the tree. You can start as small as you want. If you want to start with seeds you could use the ‘5 gallon technique’ from Mark Shepard. He puts around 50 chestnuts or 75 hazelnuts per bucket, covers them with a couple of centimetres of soil, puts thick layer of mulch of mulch and waits for them to sprout. This can also be done in a Styrofoam box or by making seed pits in the ground. With seed pits you till the ground, mulch, and overwinter the seeds. Once the seedlings sprout you can transplant them into pots or upscale the bucket technique to a nursery box or beds. Basically, it’s just a wooden box. For large seeds (nuts), Mark Shepard uses a sandbox frame with hardware cloth on the bottom, fills it with soil and then puts a hardware cloth covered sandbox on top. Grant Shultz from Versaland uses a similar technique, growing his chestnuts in palletised boxes. Check out his method here. These are fairly similar to garden beds, loose and deep with rich wood chip mulch. Seed, transplants and cuttings can go into the beds. Wood mulch can be used to create a fungal environment and make the soil alive, whereby symbiotic fungal organisms aid the growth and resilience of the trees. Beds can be planted really densely, with rows 30 centimeters apart, half an acre can contain up to 4,000 trees. Check out this interview for more info. Stephan Sobosnwiak grew all his trees in partnership with his intern, starting their nursery of 6,000 fruit trees on a 50/50 basis. 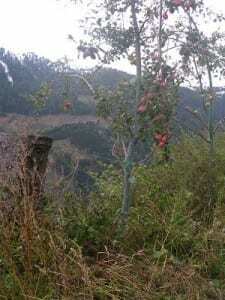 The intern later left to found own orchard, which had, at the outset, 3,000 trees valued at $70,000. Trees can grow in the beds for 1-2 years, in Mark Shepard’s case most seeds are planted in a nursery bed, then transplanted a year later. This is where it can get a little bit more technical. Standard nurseries are designed to produce large numbers of trees and have a high efficiency per square metre of production. This can, however, be replicated on a small scale using a setup where the beds are above ground level, preferably at hip height so it’s easy to manage and that the plants are protected from diseases from the ground below. The trees are looked after in containers, for which you’ll need a nice mix of compost and perlite, or alternatively sand mixed with dried moss. In this way you can care for huge amounts of trees in one location, up to 500 trees per bed. This setup only refers to one bed, but that module that can be replicated over and over, on any scale. Therefore, in one 6m x 3m area you can have 4 beds with up to 2,000 trees. Here are some photos of a small nursery I was recently setting up. You can also add a hothouse/greenhouse area as a protective area to germinate seedling. Sepp Holzer’s seedling apple tree. Planting on the spot where you want your trees to grow makes sense if you’ve already bought the parent tree from which you plan to take cuttings. This is also appropriate if want to plant rootstock on-site and graft onto it later. There are many advantages of planting directly on-site rather than transplanting as there is no shock or root damage and the tree develops a great root system with a deep tap root. 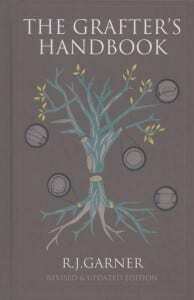 Mark Shepard directly seeds oak, butternut, black walnut and hickories. When it comes to transplanting trees he’ll rip the ground with a subsoiler and plant the trees close together. After a year in the field, he’ll graft the very tops but leave a branch of the seedling rootstock to grow out the side. This way he knows he’ll get a decent variety (the one he grafted) while simultaneously “variety trialling” the rootstock. As with most projects, there’s a trade-off between money and time. Basically, you have two options: more capital – bigger grafted trees; less capital – planting from seeds and smaller trees. Growing trees from seeds, cuttings and grafting is an essential skill unless you want to pay the big bucks for retail pots. The great advantage of doing it yourself is it can be done on the side and you don’t have to break the bank achieving it. Even if you go for 1000 trees you still are better off doing it yourself then going to a nursery. However doing it yourself only works as long as you end up with the same product as a nursery. This can be tricky in the beginning if you had no initial knowledge, but the benefits of gaining these skills are huge. Fruit Trees are propagated by grafting or budding a desired variety onto a suitable rootstock. Trees can be also propagated from seed, but then it will not grow “true” to the variety of either parent from which it originated. You can learn about propagation by reading books, watching videos, attending workshops and learning from skilled orchardists. Start by analysing what grows in your area and understand your local biome, consult other growers to see what works locally. Think about what you want from your trees and what your goals are – is it for juice, jam, cider or fresh fruit? Buy pre-grafted trees to take cuttings from, or get scion wood from other people’s trees and by trading with others. Grow your rootstock from seed or buy just one and clone it. If you have capital buy rootstock in bulk. Set up a small home nursery or plant directly on site, you can start as small as you want and expand gradually. Start seeds in buckets, seed pits, nursery boxes or nursery beds, and, if needed, graft on later. 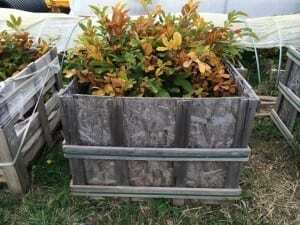 Use nursery beds and a standard nursery setup to grow vast amounts of trees and transplant on-site later. Remember, there are no mistakes when doing it yourself, only useful feedback. What do you think about growing trees yourself?